The FDA has approved Neurocrine Bioscience’s Ingrezza, the first ever licensed treatment for tardive dyskinesia or TD. The condition is characterised by uncontrollable movement of the body or face and is experienced by patients taking antipsychotics or other medications that block dopamine receptors in the brain. The approval is also a milestone for Neurocrine Bioscience, as it will be the company’s first ever marketed product – and is tipped to reach peak annual sales in excess of $1 billion. 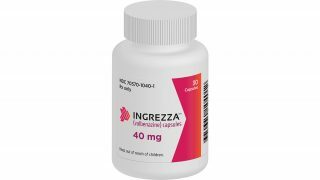 Ingrezza (valbenazine) comes hot on the heels of a rival drug from Teva, Austedo (deutetrabenazine) which gained FDA clearance for the treatment of chorea associated with Huntington’s disease (HD) just a week ago. Both companies are aiming to expand into treating Tourette syndrome, which will put them in direct competition. Neurocrine’s drug has a clear advantage, however, as it has been approved without the black box warning on depression and suicidal ideation that its rival must carry. Chief executive Kevin Gorman didn’t disclose Ingrezza’s price today, but this will be revealed ahead of its launch on 1 May. There are more major milestones ahead for the San Diego-based company in 2017. Neurocrine has a stake in elagolix, a new treatment for endometriosis and uterine fibroids which it discovered and has partnered with AbbVie on. AbbVie reported positive data for elagolix in uterine fibroids earlier this week, and is set to file the drug in endometriosis later this year. 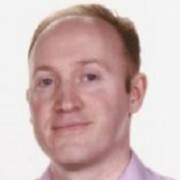 Until now, one of the few options for physicians, when managing TD, was to stop, change or lower the dose of antipsychotic medication, potentially jeopardizing patients’ psychiatric stability,” said Christoph U. Correll, MD, Professor, Psychiatry and Molecular Medicine, Hofstra Northwell School of Medicine. Teva is also expecting an FDA decision on Austedo in TD at the end of August, however the data so far doesn’t look as compelling as Ingrezza. For CEO Kevin Gorman, the approval will be a vindication of many years work: he founded the company back in 1992, and suffered numerous setbacks along the way. Now Neurocrine Bioscience, with Ingrezza and elagolix not far behind it, could become a significant mid-size company within just a few years.